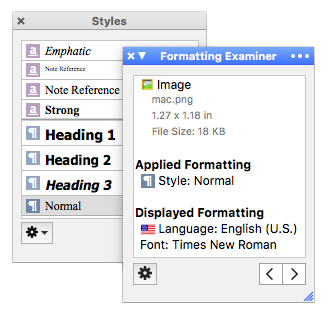 You've seen palettes in other apps, but likely none as flexible as those in Nisus Writer. Our palettes adapt to fit your workflow, either customized or hidden to stay out of your way. We know it's the small details that matter, so read onward to learn how we've perfected our tools to better fit you. You're in control of which palettes are on screen and how they're grouped. 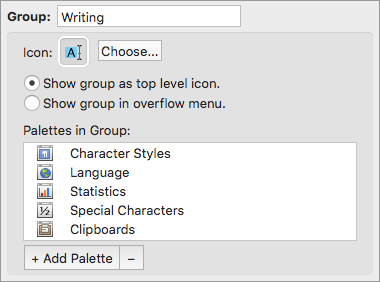 Attach your preferred palettes to each document window, or float them freely as a global tool window. Many palettes are dynamic, expanding or contracting as needed to only show information that's relevant. Or, if you don't like that, configure your palette so it always displays the information you want to see. Which palettes are visible is based on your preferences and the content you're editing. 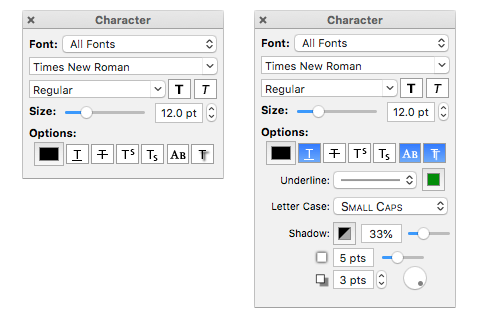 Read more in our user guide's help topic about Palettes.